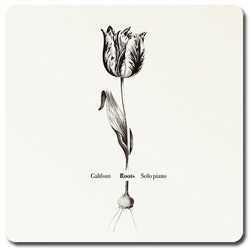 Galdson‘s 2006 release, Roots, is a dynamic classical album designed for relaxing and easy listening. Hailing from Ortigueira, Spain, Galdson Vicente Orjales is a composer who began his musical studies at the young age of 10. As a professional musician and teacher, Galdson specializes in piano. Today, he combines teaching and passion for music, creating two albums that’s available for download under Creative Commons. In Roots, the artist offers 16 piano pieces that he had composed during his years of study. Title track Roots open the listener with rapid flowing keys that ascends and descends in a smooth sailing manner. Old Times, on the other hand, features a slower timbre. The pauses in between the notes channels an overall dramatic vibe. A charming simple track, Sea Heart is a blissfull piece that’s filled with clean notes that extends one after the other. Playing Together is also a love piece with a more modern vibe. I love how the piece lulls the ears as slow tracks slowly builds into rapid and heavy keys. An ideal backdrop for dinner dates or lazy weekends, Sharing Coffee is a remarkable ensemble of high and slow keys that gently drifts in the ears. As a whole, Roots exposes Galdson‘s remarkable talent as a composer. It is quite hard to find classical pieces that’s easy to digest and relate to, but Galdson did it remarkably well. For those seeking for pleasurable relaxing music, this is the right album for you.